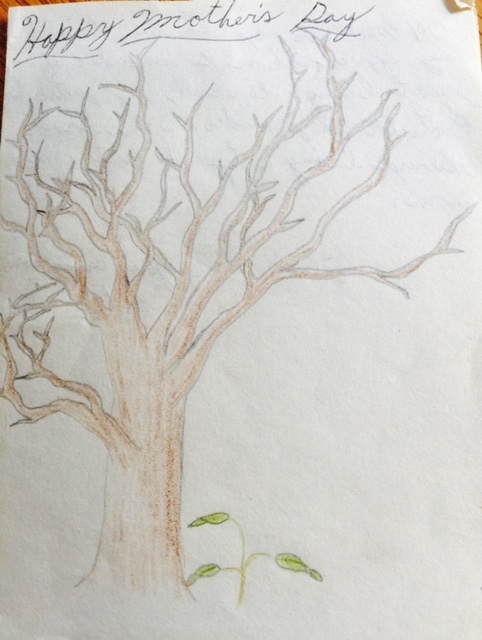 Mother’s Day was a joy when the kids were in grammar school, and they came home with those hand drawn cards and homemade gifts. I wouldn’t trade those lopsided crafts of macaroni picture frames and Popsicle stick coffee coasters for all the diamonds in Tiffany’s. Really. No kidding. But after grammar school, the boys were pretty much on their own, when it came to gift giving. They were at that awkward age: too young to have the means to go shopping on their own for a gift, and too old to paint Popsicle sticks. Although I told them that love was the only gift I ever wanted on Mother’s Day, I couldn’t hide my disappointment when they gave me just what I wanted – and nothing else. 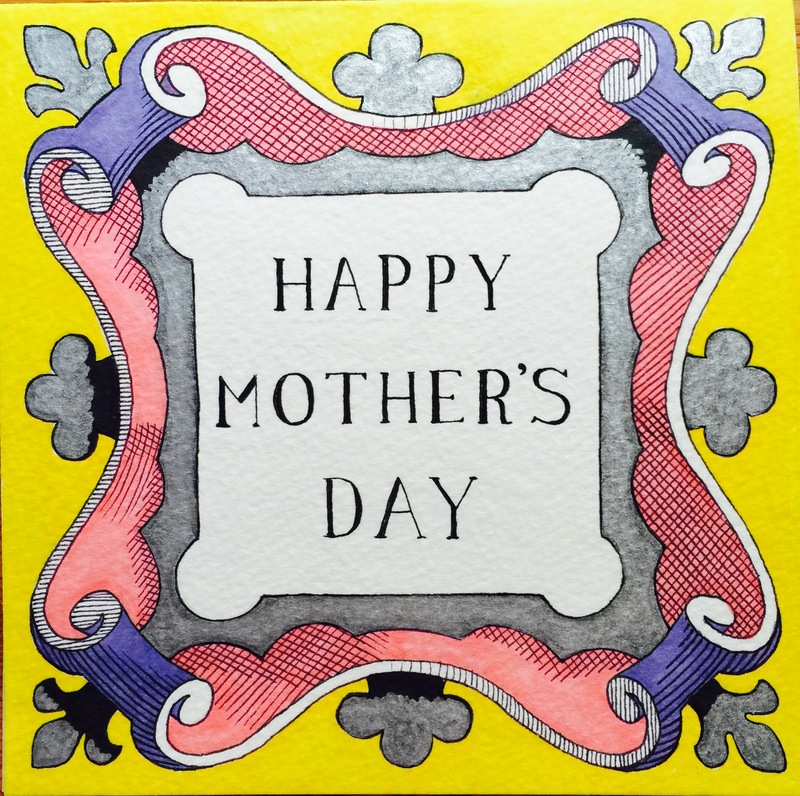 That’s when my husband would lay the guilt on them, by gathering them together after breakfast and whispering, “Can’t you at least make your mother a card for Mother’s Day?” Then I would hear them scurrying around as they frantically searched for art supplies and paper to create a masterwork of art and poetry. 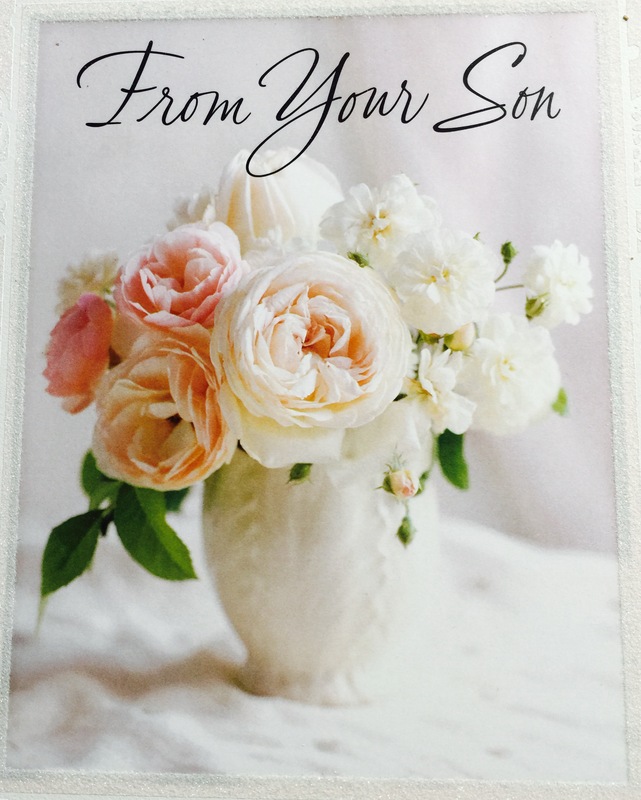 I have received many Mother’s Day cards in my lifetime. They have been endearing, sentimental and – interesting, to say the least. While cleaning out my dresser drawer the other night, I came across some that I have saved through the years. I would like to share parts of them with you now. I have blocked out the signatures to protect the innocent. 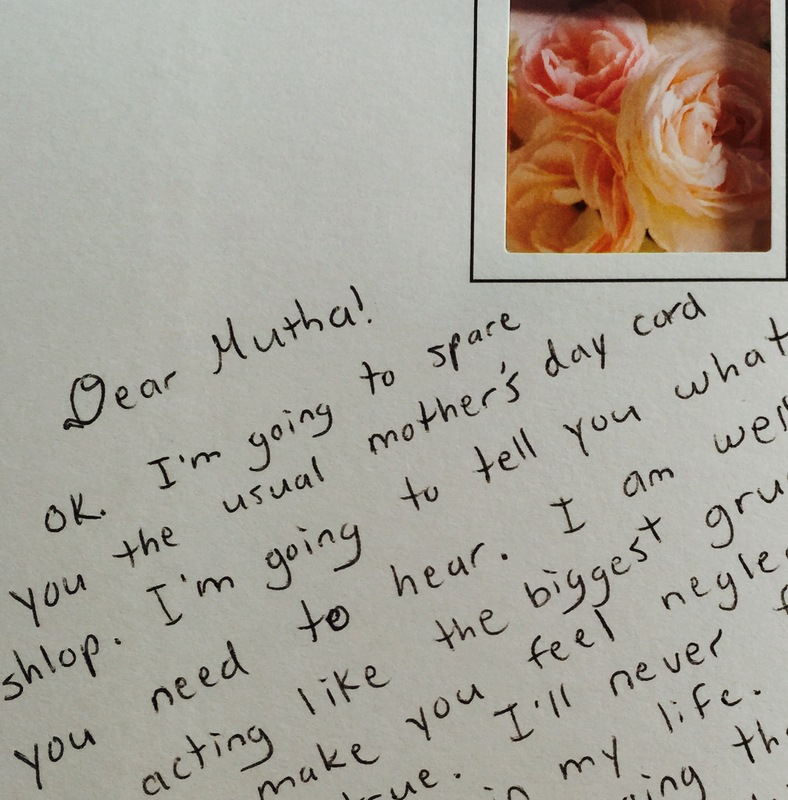 Here is an example of one of those Mother’s Day messages. It was just a small piece of paper with no artwork. OK, so what if dessert is spelled wrong. Another year, the artwork was much improved, and the sentiment became so lofty – especially that description of me at the end. One year I opened a beautiful store bought card and thought I would find a sentimental message inside. After reading the first two sentences, I almost dropped the card for fear of what he was going to say. OK. I’m going to spare you the usual mother’s day card shlop. I’m going to tell you what I think you need to hear.…..It ended with…I love you very much and have a Happy Mothers Day. I swear I didn’t forget, you just remembered in time to make me look bad. All that practice making homemade cards has finally come to fruition with this beauty that my son made for me this year. 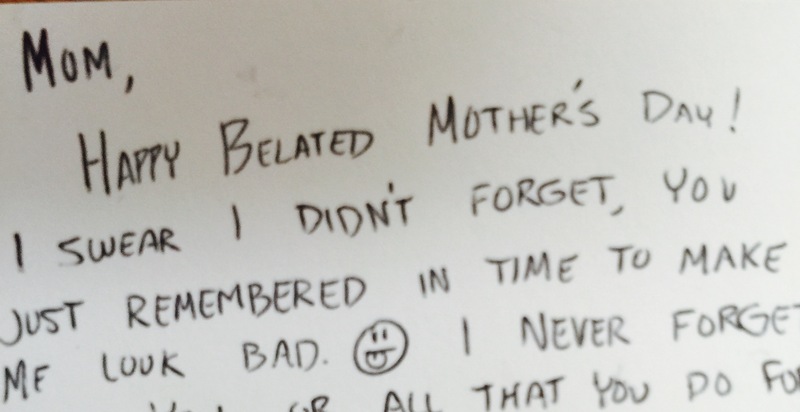 This entry was posted in Uncategorized and tagged Happy Mother's Day, Mother's Day, Mother's Day Cards. Bookmark the permalink. Loving and beautiful boys. And now you celebrate them on Mother’s day.